I don’t remember when or why, but at some point someone suggested to me that I should do more drawings on being an introvert. I am equally introvert and extrovert, but I guess I do have a tendency to draw mostly about my extrovert side. Maybe because it is difficult to draw a love of being alone, when alone is a word mostly associated with sadness? I imagine introverts sees this drawing as someone in a heavenly place while very extrovert people think it is about being trapped – but I guess all these feelings are personal and different and please don’t hit me. 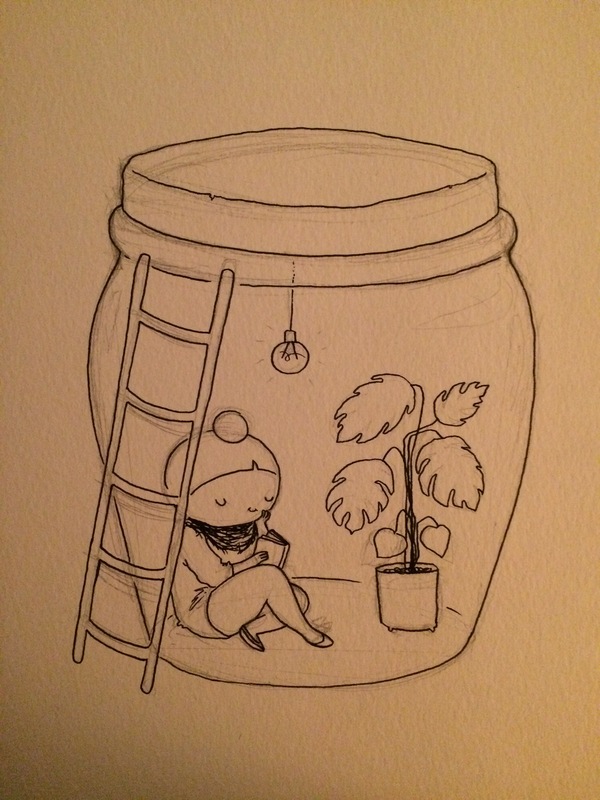 Jars are hard to draw by the way.